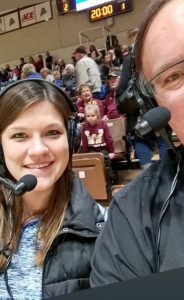 MINNEOTA VS NEW YORK MILLS 11-8-18 PAUL RAYMO AND KELSEY BUYSSE WITH THE CALL FROM THE EXCEL ENERGY CENTER. 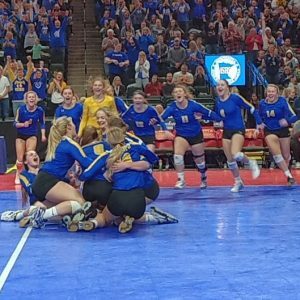 MINNEOTA 3 ADRIAN 0. THE VIKINGS ARE SECTION 3A CHAMPIONS!! 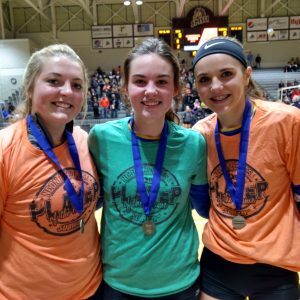 STATE VOLLEYBALL STARTS THURSDAY AND YOU CAN HEAR ALL THE STATE VB ACTION ON 92.1FM. 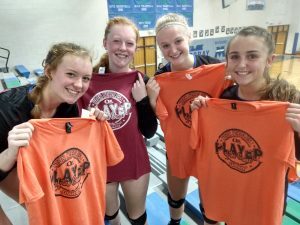 SYDNEY LARSON, MORGAN KOCKELMAN AND NATALEE ROLBIECKI WERE POG! 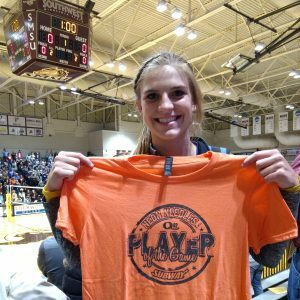 VIKINGS ABBY HENNEN WAS THE POG, SHE HAD 20 DIGS AND 2 ACE SERVES. Paul Raymo with Coach Jenai Wright of the Canby Lancers and POG Ahlea Wright, Charlotte Wright, Cassidy Hunt and Cammie Weber. Lancers advance to Tuesday Section 3A VB tournament at SMSU taking on the Minneota Vikings.